These photos are from a week and a half ago. 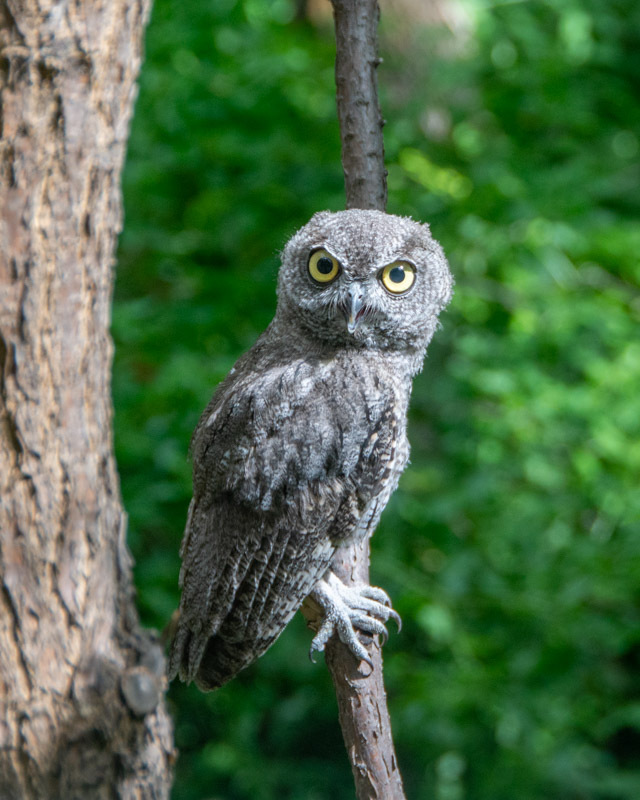 The Western Screech Owlets are growing up. 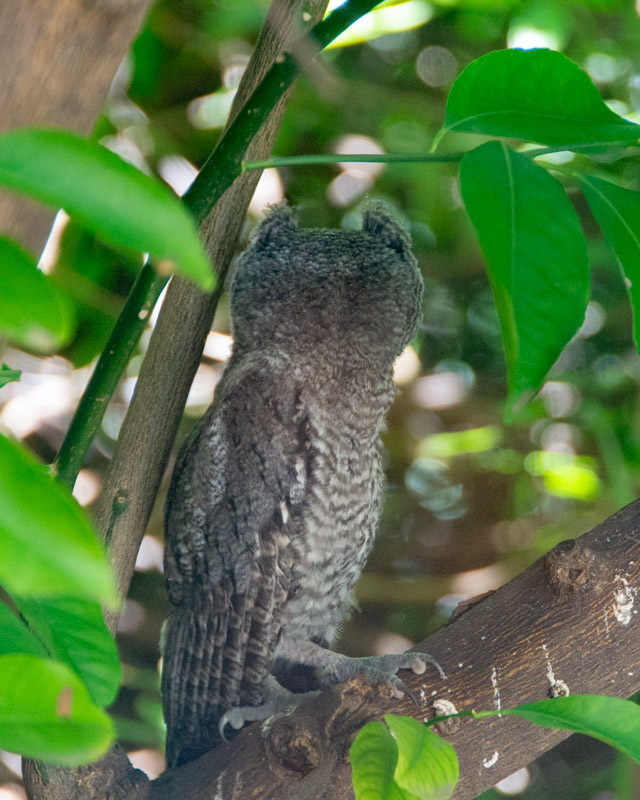 This family is living in northwest Tucson but reflects the many Western Screech Owls we have in the Foothills (and throughout the western half of the United States). 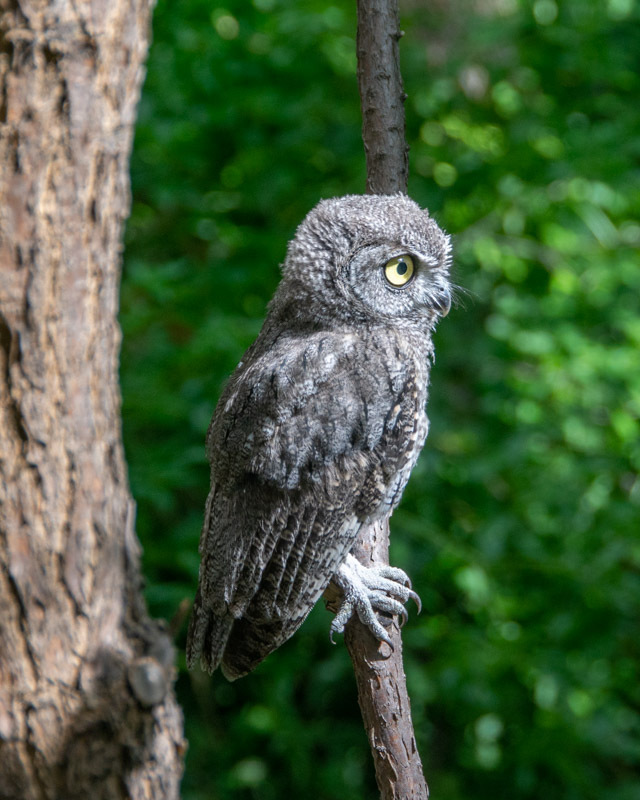 One of the owlets finally perched out of the shadows and in full sun! I really like the texture of its feathers in these two photos. The bird turned to fly back into the shade where its siblings were. It’s face is now in the shade but notice its right pupil? The pupil looked normal in the shots above but now is much smaller than its left one. 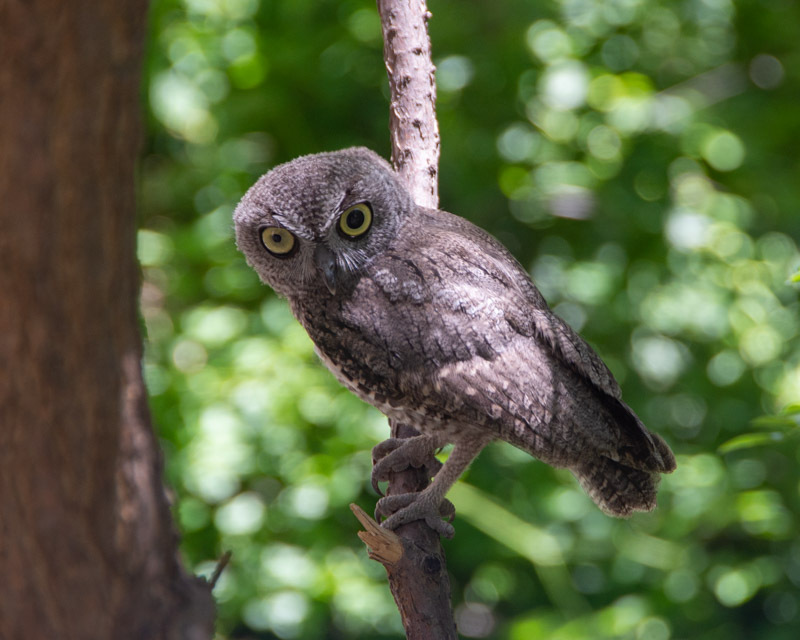 Owls can dilate or constrict their pupils separately from the other. This bird has been seen for a while now with its right pupil very constricted. It is likely the bird sustained some kind of injury to that eye and has been favoring it. 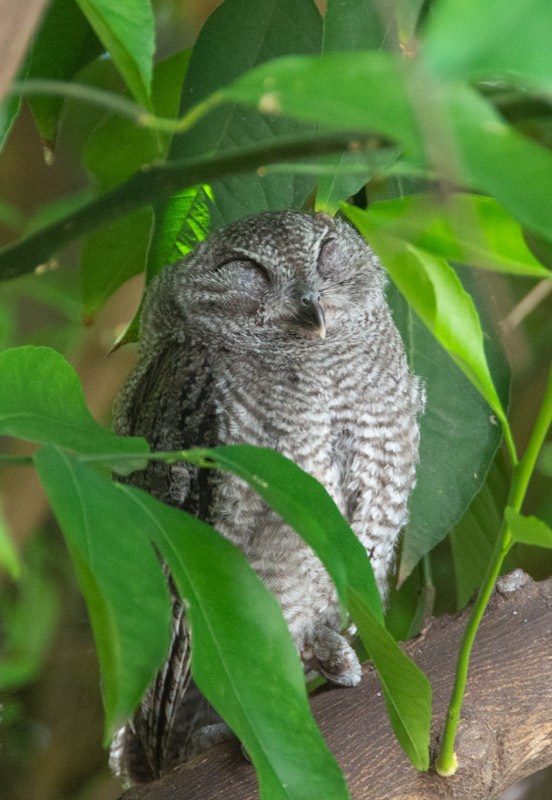 The pose below is the owl meeting its daily quota of cuteness. While the bird in the shot below is behind several branches, I liked how it seemed to be tightrope walking along one very thin branch with those very large feet and talons. You can also see how low the beak is on its face and the large downward curvature of the beak. Lots of snoozing going on. 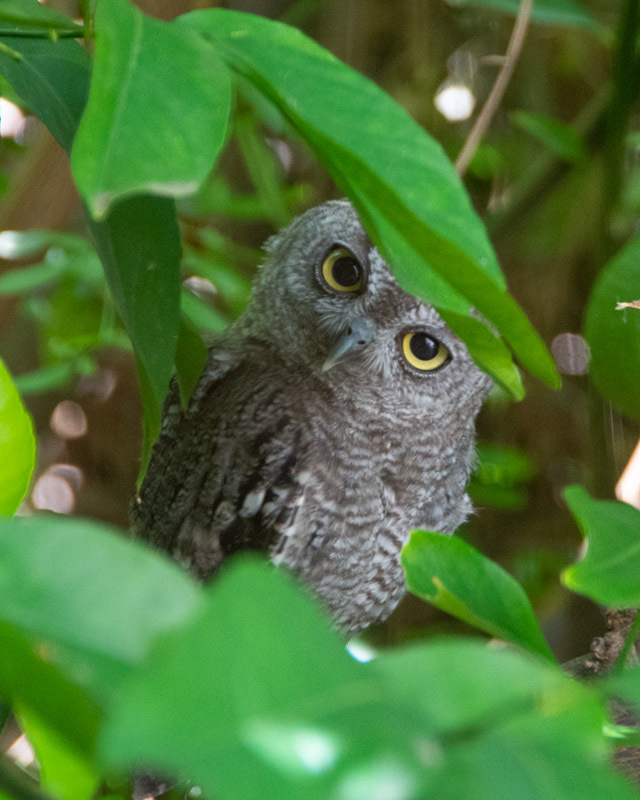 A boy was walking along the sidewalk and making hooting sounds, causing this bird to turn and alert. Its body is being held tall and the short, new plumicorns (the feather tufts on its head) are erect to help break up the silhouette and to camouflage the bird. 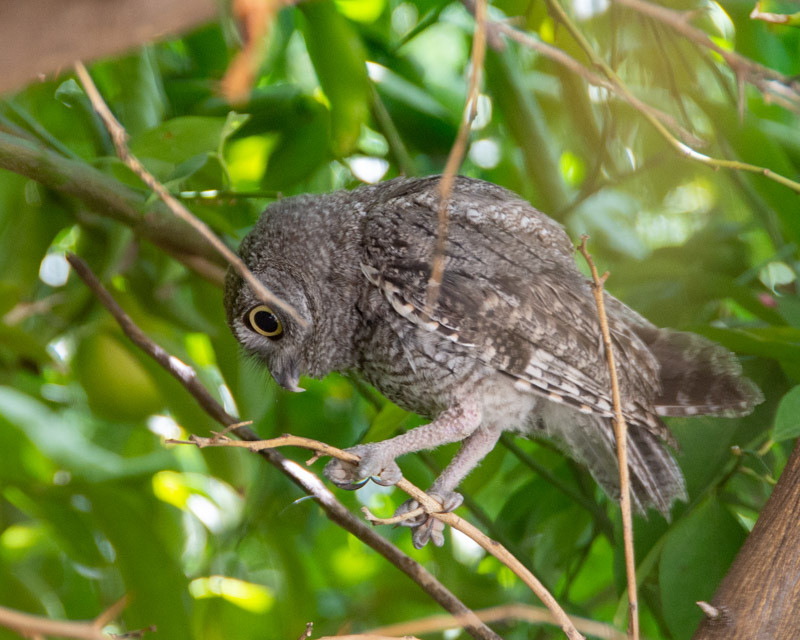 More Owlet photos will inevitably follow.